Sat., July 28, 2018, 9:46 p.m.
BUDAPEST, Hungary – Lewis Hamilton showed again he’s untouchable in the rain, producing a brilliant last lap to take pole position for the Hungarian Grand Prix on Saturday. Mercedes head of motorsport Toto Wolff could hardly believe it as he watched from the team motorhome, clutching his head in disbelief as Hamilton beat Mercedes teammate Valtteri Bottas’ time to secure a record-extending 77th pole position in Formula One. Hamilton put his exceptional performance in difficult track conditions down to an intuitive feel for the car. Just moments earlier, Mercedes’ rival Ferrari was 1-2 with Kimi Raikkonen ahead of Sebastian Vettel. Bottas finished second to Hamilton at the rain-soaked German GP last weekend, receiving team orders near the end to hold position and not to try to attack Hamilton. “We are free to fight, so I’m looking forward to it,” Bottas said of Sunday’s race. Although the Finnish driver regularly insists he is on an equal footing with Hamilton, the widely perceived view is that he is effectively No. 2. 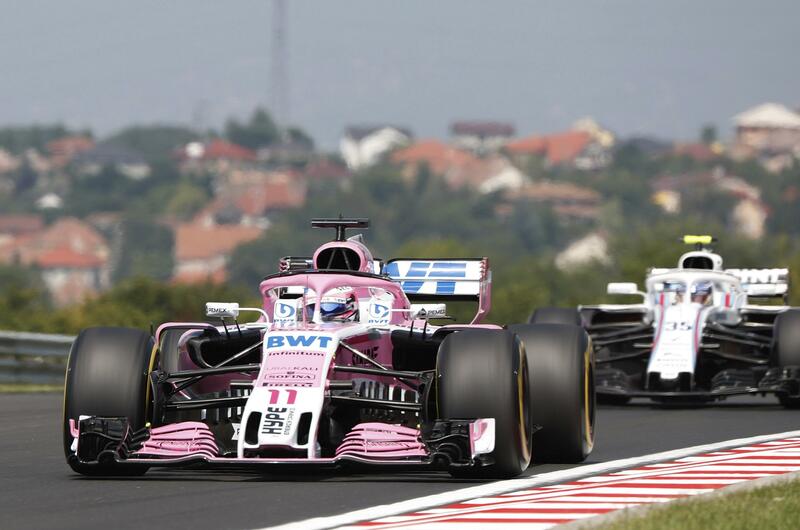 The narrow Hungaroring track, nestled in rolling holes on the outskirts of Budapest, is among the most difficult circuits in F1 to overtake. It is considered more favorable to cars with a strong downforce like Red Bull and Ferrari. Vettel was fastest in the final practice in dry conditions and also in Friday’s second practice. Hamilton did not finish higher than fourth in all three practice runs. Red Bull driver Daniel Ricciardo was fastest in the first practice, but only 12th in qualifying after his team misjudged which tires to use when it started raining. Teammate Max Verstappen could manage only seventh behind French driver Pierre Gasly’s Toro Rosso car and the Renault of fifth-place Carlos Sainz. Verstappen was cleared of impeding French driver Romain Grosjean following a steward’s investigation. Updates with details, quotes. With AP Photos. Published: July 28, 2018, 9:46 p.m.